The revival of interest in artwork on walls over the last ten years has been fuelled by the large scale spray painted works done by street artists. This month’s ‘mural of the month’ is a recent creation that has been executed with paint. 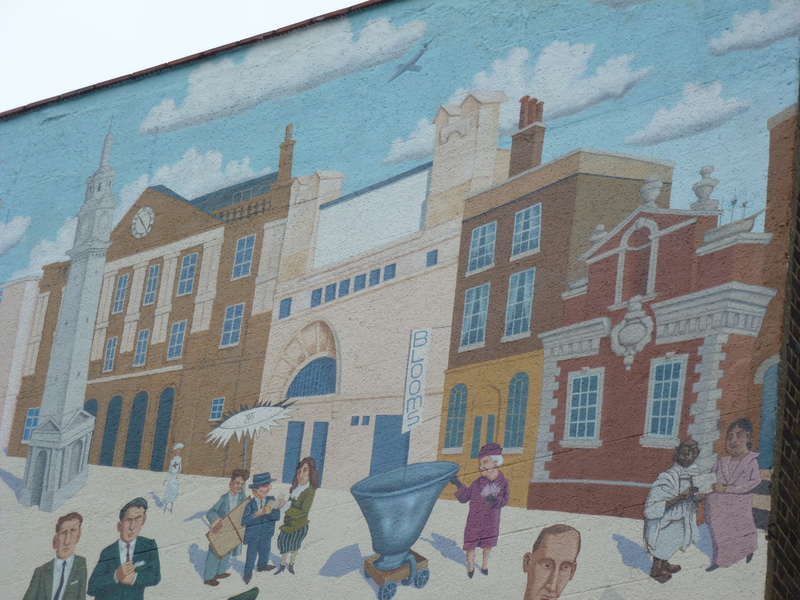 The Mile End Road Mural was painted in 2011 by artist Mychael Barratt and two assistants who completed the work in six weeks! 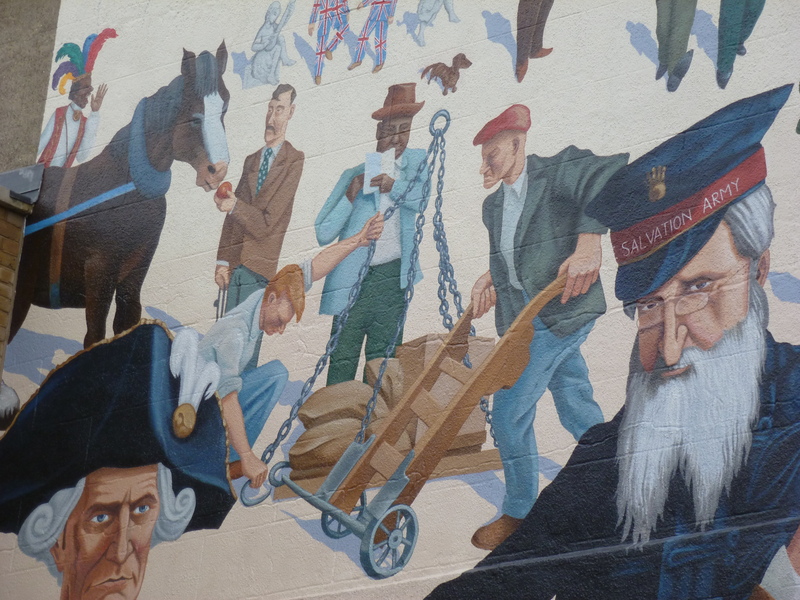 This mural reflects the history of the surrounding neighbourhoods. 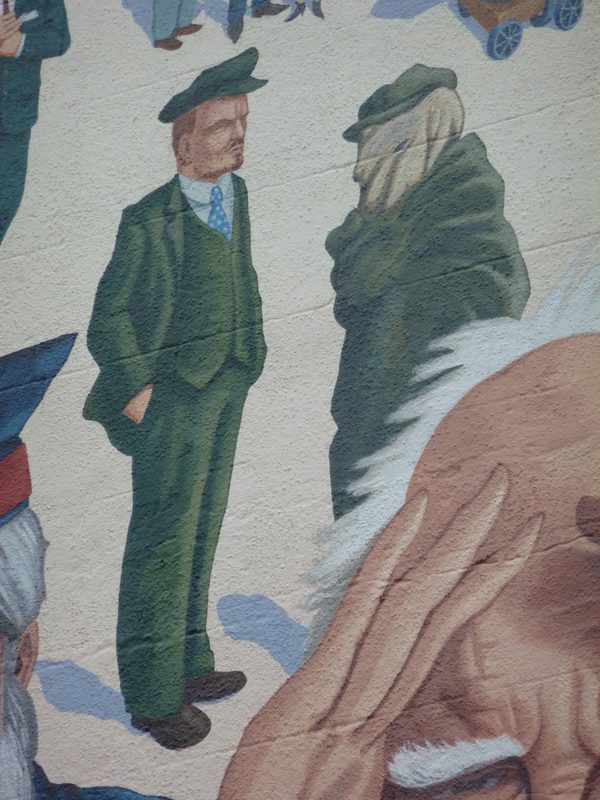 Dipping into a rich cast of local characters, Barratt portrays the individuals on a landscape which nods to the area’s building landmarks. 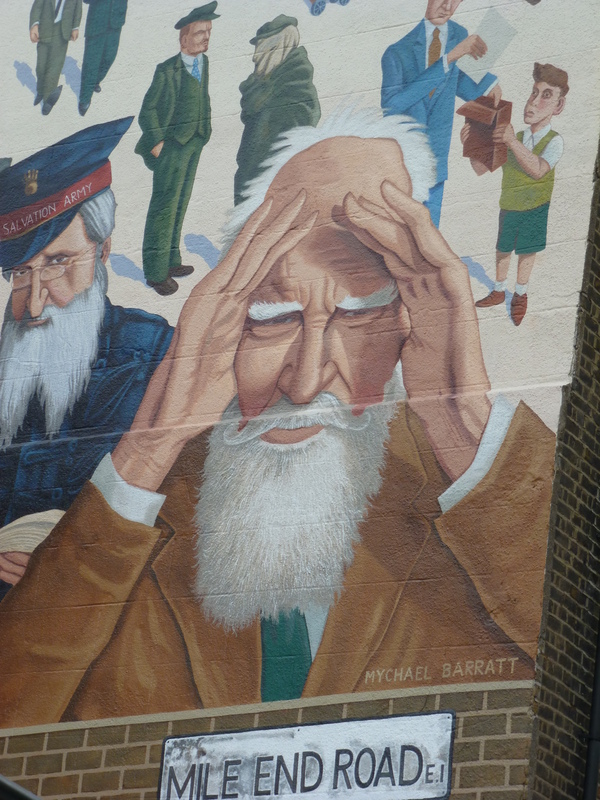 The painting includes the artists Gilbert and George who live locally, William Booth, the founder of the Salvation Army, who worked extensively in the area, the Krays, Joseph Merrick, the Elephant Man and a whole array of people associated with Whitechapel. Nicely pulled together, it is great to see different talent bringing painted murals into London for the next generation. 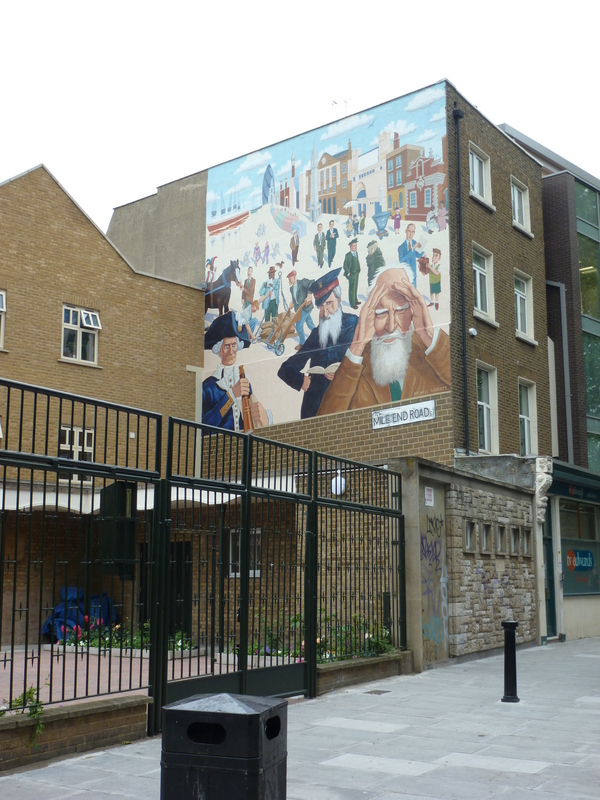 We recommend that you pop down to Whitechapel and take a look. 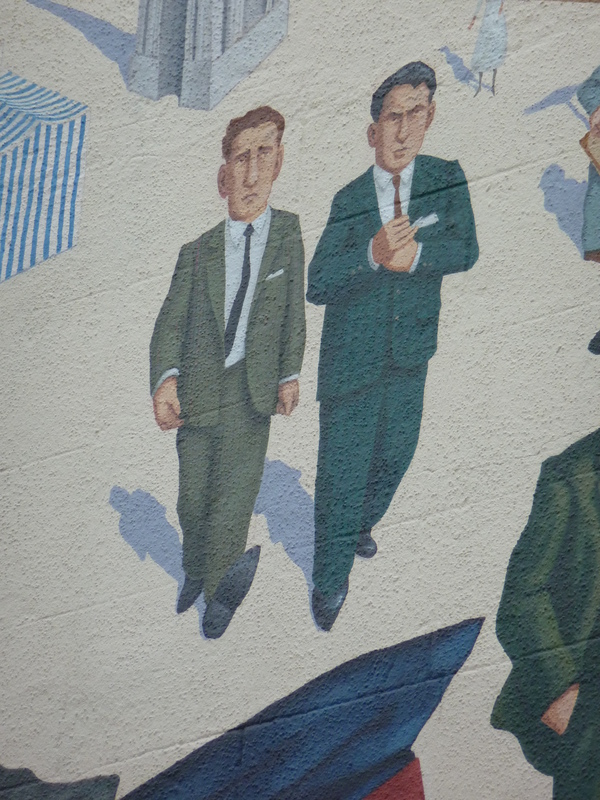 The mural is closest to Whitechapel station and is located on the side of 33 Mile End Road. Go visit and tell us what you think!